Winter tires: Definitely do NOT use the Cheng Shins in any weather colder than freezing temp. Even on whet roads those tires work only marginally. At least those on my ride. It works very well in the whet, good on dry and even hot roads, and if not too old yet also very good on snow, and occasionally I had to ride on icy roads too. THAT is not fun, but with these tires and a very smooth throttle response it is possible too. Heidenau also has a decided winter version (with the M+S mark) of this tire with identical tread but slightly softer silica rubber with some kind of fibres embeded, probably to reduce wear. They call those "Snowtex". But as long as there are no laws that compel you to use M+S tires on snow I would go with the standard K62. It should last you some 8 000 km / 5 000 miles on the rear if you can keep your throttle at bay :-) The front I had run down on double that. The only drawback in comparison to the Cheng Shin might be a slightly rougher "feel" at slow speeds and in new state a slightly undecided tracking when going straight ahead, as it sports a groove in the middle. So the front wheel will move from one groove edge to other and back again, until the edges have worn down enough to react normally again. What I just put on my Thunder is a Japanese-Swiss co-production called IRC Urban Snow that allegedly is used by the Swiss Post all year. But I cannot really recommend it as it howls like a pack of wolves when going straight ahead (louder than the wind at speeds up to 40mph! ), though this dies down as soon as I bank it a little and the tire begins to run not only on the center blocks but also on the neighboring ones. I bet it could only be beaten on snow by spiked tires though. It is a decided M+S winter tire with very fine "gills", lateral in the mid-section for good traction and longitudinal on the sides for better side guidng. I only changed to this type as M+S tires are now mandatory here in Germany also for two-wheelers when riding on snow... It has a more spherical cross section than the Cheng Shin and thus has a larger circumfrence and in the case of the Thunder with it's strongly slanted front fork it causes a straightening moment in the handle bars during cornering. The same is true for the Sava Win Scoot M+S that my dealer puts on his Thunder for the winter. In any case you will be positively surprised at the additional grip particularly on whet roads with any of these tires, in comparison to the Cheng Shin "slicks". I got a chance to test out my 6100 in very strong wind and it did great. I was over at another EVer's house when he told me that they had just reported 90mph wind in the area. I couldn't resist hopping on the bike to test out it's handling. Around his house with all the trees it wasn't that strong but when I got out of his subdivision it was another story. Bushes, boxes, and other debris blowing across the road; downed tree branches. The bike did great against both head and cross wind in this 8 mile test. Got back home and downloaded the data off the neighborhood weather monitoring station but it only showed 77mph sustained wind not 90mph ( still - isn't that a cat. 1 hurricane strength?). Nothing else to report; the bike keeps on running without problems. My ZEV does ok in *normally* high winds, too. The main problem with the handling - aside from the front shimmy it's developed - is that it slides too easily in even a small amount of loose dirt. I think it's the extra battery weight, combined with Chinese tires. What does your 6100 weigh...? Sure I give Zehrbach sh@t for not installing the Cycle Analyst (CA) for people less mechanically/electrically inclined than me, but the bike is Golden in it's simplicity. There isn't anything on the bike that I can't repair and or buy parts for if needed. Except for the rock-solid controller/motor - it is all standard, inexpensive, easy to get parts unlike the Vectrix nightmare. I really appreciate that he hasn't tried to make his own proprietary information display, when the CA gives me all the info I could ever want and it is an rock-solid, time tested design. I'm living the EV dream. It looks like converting my 6100 into a 8000 machine is as simple as dropping in his high end controller. But, I first want to see how far I can tweak the existing controller using some of his clever ideas. You are spot on regarding the Cheng Shin tires on anything but clean pavement. But then they are barely grooved slicks, and if you are going to be on less desirable surfaces you can order the nobby tires that come on his trail bike. The tires surprise me though on the slightest amount of water such as sprinkler runoff in a parking lot; the tires get real weird as if you just went thru a oilly patch. However, riding in the rain you don't have a problem at all. It is as if the Cheng Shin's attract some oil while running on dry pavement and get slippery if you hit a small wet patch. That said, I still ride with the Cheng Shin tires because I like the excellent grip on pavement and the very quiet ride. But if I see sand, gravel, or a wet spot, I slow down and get the bike perpendicular to the road. Regarding bike weight - I think the MCO showed 305 lbs as shipped. But the weight or CG is so low, I think the issue of sliding on loose dirt is all in the tires. IBNscootn, that was a pretty nice sum-up of the behavior and quirks of the Cheng Shin tires apparently most of our 13 inch E-scooters share. I also cannot quite understand what these semi-slicks do on whet roads. Generally there is very little grip on whet roads, but there are instances when whet turns into nothing short of an oil slick, even though a week-long and at times torrential rain has whashed the road completely and utterly clean. Quiet they are, that is what I REALLY miss about them these fall/autumn/winter days with my IRC Urban Snow tires... And traction is excellent on dry and clean roads, that is probably the biggest strength of these Chinese/Taiwanese tires. The ZEV 5000LA weighs 395lbs IIRC, so that's 90 pounds more weight on the same frame and tires. I'm not talking about riding on dirt roads, mind you, just pavement with a scattering of sand or gravel on it. Knobbies would make things much worse. If I keep the bike and don't buy a motorcycle for serious riding, I'll look for better tires. I don't ride in rain, but I want better grip in mixed riding conditions. Surviving a ride in 70+MPH winds is luck, not a testament to the scooter. If a half-full garbage can had bounced off it at 50MPH with no effect, *that* would be a testament to the scooter. Riding in near 80mph winds was fun; accelerating, decelerating, swerving was fun on a light, well designed bike like the 6100. It handles crosswinds very well. I'd like to see how it handles at near 100mph winds, but those happen only rarely around here and I doubt I could time it right. Trust me, no heavy objects like half filled trash cans were flying past me; no witches on bicycles (Kansas is our neighbor). It is fun seeing and dodging tumble weeds (dried small 3' wide bushes), which you normally only see on Western movies, as they don't travel in a straight path. I did try to stay out from under the trees as they were losing some branches. Anyone know at what wind speed straw is moving fast enough to stick into wooden objects like telephone poles? I definitely would be inside my house under those conditions. I'm much more concerned about hitting a patch of gravel or sand on the stock tires than strong winds on our bikes. Those Cheng Shin tires slide too easily on anything but clean pavement. I think a tire with more and deeper grooves would handle the winter road debris much better. Since both our tires do very poorly on the smallest amount of sand/gravel, I still think the issue is the tires and not the bike. If I see sand/gravel on the road, I aim my bike toward the right or left car tire tracks left by previous cars as their tires have cleared much of the debris away. If it is a solid patch of debris, then I slow before the patch, get the bike perpendicular to the road and let the bike wiggle through it. So far it has worked great for me, and I plan on keeping the stock tires on. I'm lucky in that I'm retired and can choose when to ride; I don't have to ride in icy or snowy conditions and our road crews are quick to remove most of the post snow storm road gravel. If I had to deal with more road debris, I would probably opt for dual sport tires. The ZEV 5000LA weighs 395lbs IIRC, so that's 90 pounds more weight on the same frame and tires. Just out of curiosity, what is your bike's performance? Since my CA isn't hooked up yet, what is your indicated top speed in each virtual "gear"? Indicated 0-50 time? Range? Regarding the CA, Is it just the speedometer that you haven't connected? When you get ready to hook it up, let me now if I can be of help. Regarding top speeds in each gear, first I would say to not think of the "gears" as normal gears, but instead as economy modes. First gear tops out around 31mph. I use first gear to get through the intersection and then put it into second gear; also, to drive through school zones or 25mph speed traps. Second gear I use 95% of the time in my normal traveling speeds of 40 to 58 mph. I use third gear rarely and only when I need max torque. Fastest I have taken the bike is 64mph in third gear but then I was on a 55mph highway. Regarding 0-50mph, I don't know. But I can tell you it is fast enough that I ride in the fast lane without cars feeling they need to go around me. It's an excellent question though and I might test that while also testing a 7100 Trail bike that a guy in Denver will be getting in the next two weeks. It will make for good comparison data. I hope the winds settle down around here as already we have had 45mph winds this morning. Regarding range, it depends on the speed you go. 98% of the errands I run are within 12 miles of my home (24 mile RT) so for me range is an non-issue. Therefore, I rarely ride below 40 mph these days. So I'm averaging 1mile / AH. But when I first got the bike, I was more concerned about range and was averaging 1.25 mile/ AH. Now, I'm more concerned that people see a electric scooter in the fast lane as a viable transportation option than any worry about range. I saw on one of you posts, that you took a friend down to vote at 20mph; you must have the patience of a saint to ride that slow, I don't. To maximize battery life, I stay well above 80%DOD or less than 32AH. Using that self inflicted limit, and not riding below 35mph unless forced to (i.e. a school zone), the maximum distance I have ever logged was 38 miles without charging. Am I being too cautious with these batteries - most likely yes. At the rate I'm charge cycling these batteries, they will last another 10-12 years at which point they will still have 80% capacity if I'm to believe the manufacturer. If I had been concerned about range, I would have bought one of the Trail bikes with the 60AH cells. I'm hoping that in 3 to 5 years we will have cells with 5 to 10 times the energy density and the whole range issue with disappear for those people inflicted with range anxiety. Folks, how long do you think it will take for the next generation cell with that type of performance? I think you mentioned before that you were having difficulty locating charging locations. Well, I stumbled across some cool iPad apps that locate charging points for you and at least for now, most locations are free. Check them out, or if you don't have an iPad, send me the zip codes for the areas you would like to charge in and I will look them up for you. I found a private residence using the tool - that has a 10KW solar system and is making available to the public a free 120V outlet. Real cool person. I now have charging locations anywhere throughout the Denver metro area if I ever need to use them. I'm hoping that in 3 to 5 years we will have cells with 5 to 10 times the energy density and the whole range issue with disappear for those people inflicted with range anxiety. Folks, how long do you think it will take for the next generation cell with that type of performance? My wild guess would be in 5 to 10 years. This kind of stuff does not come easy, it takes tedious work to put together new "recipes", test them out, iron out the kinks amd production troubles, test and re-test and evaluate until a new kind of battery can be made in a sellable fashion. "Regarding the CA, Is it just the speedometer that you haven't connected? When you get ready to hook it up, let me now if I can be of help." None of it is connected. I was about to start on that when the front end wobble got exponentially worse. So that is now my priority the next time I work on the thing. My garage is now about 46 degrees and getting colder, so that might not be before Spring. "Regarding top speeds in each gear, first I would say to not think of the "gears" as normal gears, but instead as economy modes." Please don't be tiresome, IB. We both know that I know they aren't "gears", which is why I always put it in quotes. No one here thinks we are talking about a geared transmission. Darus calls it a transmission, so for lack of a shorter term I use "gear." "First gear tops out around 31mph. I use first gear to get through the intersection and then put it into second gear; also, to drive through school zones or 25mph speed traps. Second gear I use 95% of the time in my normal traveling speeds of 40 to 58 mph. I use third gear rarely and only when I need max torque. Fastest I have taken the bike is 64mph in third gear but then I was on a 55mph highway." Interesting. Assuming you are using figures from the mechanical speedo as I requested, there is little difference in speed between our bikes. With a fresh charge, mine will reach an indicated 40MPH in "1", 58 in "2" and somewhere around 65 in "3". Within a few miles, though, 1 drops to an annoyingly varying 28-35MPH, while 2 will still hit an indicated 55 or so. 3 might reach 60 on a long stretch. Your bike probably accelerates faster, at least in the top two ranges, and is lighter, with about 5 miles more range. Of course my stats were not from the stock speedo. My stock speedo always read too high. I never look at anything but the CA and the turn signal indicators. Unfortunately, this is all to common on scooters; I have read posts here stating that even the almighty Vectrix has an inaccurate speedo. If you are going to talk about speed, at least have it GPS verified. I guess I didn't make it clear enough when I asked for stats. I wanted you to give me figures from your mechanical speedo for two reasons: I don't have a working CA, so we can't compare those readings, and because we have the same speedo unit, so *those* figures should be compare-able, even though inaccurate. You mention Smartphones and GPS-verified speeds, but I don't have any of that tech. I've been riding ICE motorcycles for literally 40 years, so I'm used to judging speed by feel, and by subtracting 10% or so from the mechanical speedo reading. I think it would be *nice* to have the CA working, but now that I know I can use the voltmeter to gauge range*, I actually regret spending the time and money on it, because if I hadn't gotten sidetracked by that, I might have gotten the bike back in 100% perfect working order. Anyway, speaking of Smartphones, if you would like to search for charging stations in the ZIP Code 12118 area, I'd appreciate it, but I doubt you'll find anything outside of Albany, which is just beyond my operational range. * For those of you who haven't read every post in this topic, I originally thought my voltmeter was worthless, because the bike stopped dead on me before the meter indicated I was critically low on charge, and I had to push it - happily, only a block. It turned out to be malfunctioning brake micro-switches that were shutting it down. 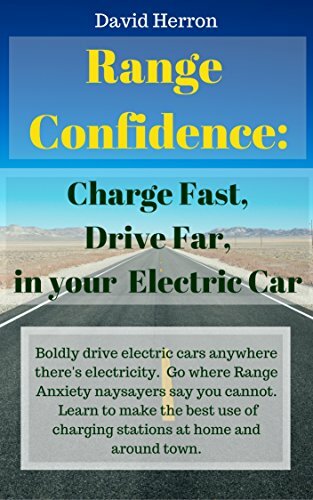 The voltmeter works fine for estimating range, once you understand how. Leftiebiker, I found stations in your area using both the carstation.com and map.google.com links (see above link on how to use the google link). You want level 1 or Nema5 outlets. I read Walgreens in NY is adding charge stations. As I expected, all of Upstate NY has exactly one charging station - at some hotel in downtown Albany. I also read about Walgreens, but they appear to be starting in Ca. and moving East from there. So the one nearest me should have one in about three years. With that battery, I would be able to upgrade my 6100 to not only meet any errand running need, but my leisure riding desires too. Dang. Something to look forward to. WOW!! Now who could complain about 500km per charge?!?! I could even drive to the beach and back with that sort of energy!! There are also nano-lead-acid batteries in development that replace the lead plates with nano-coated graphite foam, greatly increasing the surface area and reducing sulphation and weight. Having witnessed the ridiculous amount of balancing required with L* batteries, and still a high cell failure rate, I think I'd opt for the nano-lead batteries instead. We are the lucky ones. Though my bike is running now at 6600w, peak 7400w, top speed of 64mph, it has a 9200w motor. I could upgrade it to 9200w now, and 80mph (133kmh) speed but I'll wait for the newer higher density batteries as my 6100 is handling my needs as is. But the thought of 10x energy density is amazing. Hmm. Ok. I've seen a few documentaries showing a hybrid of strong neo magnets with a normal hub motor using field weakening and then actually physically pulling out the electro magnets at speed to change the angle. The way they said it uses 20% less power is because it can produce the same speed and torque with 20% less energy. I'll see if I can find a YouTube link. This is the closest thing I can find, a variable field motor. The ZEV 6100 just keeps plugging along. This has been a great investment. Now have 3100 miles (5,000Km) on it. That doesn't sound like a lot of mileage; but I dont have a commute, and it is handling at least 95% of my transportation needs vs my cars. I like that both the Cell-Log and the other device have LVC and/or HVC alarm capability to add redundancy to the LVC/HVC function of the supplied BMS. Redundancies in protecting an expensive pack is a good thing. So I plan to determine my weakest couple of cells and then add one of these devices as a backup to track their performance (your pack is only as good as your weakest cell). Just don't leave them connected for any long unused period as they consume power. Folks that have old XM4000s or other bikes without a BMS might want to look into these devices for the HVC and/or LVC functions. I have also purchased two more cells and separate charger for a small boost pack. The bike charges up to 87.6V, but settles back down to about 80.5V after removing the surface charge (moving the bike a foot or two under throttle). So, my gameplan is to charge the main pack with its charger and the booster pack with another charger, drain the surface charge off the main pack, then add the booster pack in series. This way I will start my ride with closer to 86.5V than 80V. Should be fairly simple process with the 6mm connectors and thick, flexible silicone wiring I ordered. Is this necessary, no, but I wanted to further my knowledge of how the bike works without having to upgrade any major components. I'm still looking for a cheap 240Vac 27-32A charger, but no luck so far. I've been watching the endless-sphere forum, and one guy is working on a design but nothing that I can use yet. So plans on adding a J1772 plug to the bike are on hold. Too bad because J1772 stations are multiplying like rabbits around here. 4300 miles and still going strong. No noticeable battery capacity loss and ride is still great. Problems I have had over the last 18 months have been a broken battery hold down strap and a fractured front wheel spoke. The battery cells are precompressed in packs of four from GBS and Zehrbach installs them within a sturdy steel battery box. A rubber strap is then used to keep the 4-packs within the box from moving up and down. I replaced the strap with my own strap. Mentioned to Zehrbach, and he said he's now using a different strap technique. Front brake had started to rub, fiddled with the caliber, and finally took down to motorcycle wheel shop and they found a fracture in the spoke. They welded the wheel, retrued the wheel and disk, balanced the wheel and repainted the wheel black for a couple hundred bucks. Later found out I could have gotten a new matching wheel off of Ebay for $60. Oh well you live and learn. Actually I didn't mind supporting a local business. Last winter/spring, I had bought a bunch of cool test equipment and devices to provide testing of the cells and per cell monitoring. But since the bike was running well, I got interested in researching fast charging techniques instead. Problem is anything that will provide 30A charging current is too heavy, bulky, or too expensive. Currently looking at using the proximity signal on the J1772 standard to limit the AC current source to 32A. Then rectifing the signal and then routing through the battery at less than 30A. I need to run this approach through some of the local engineers. I had my first 'tank slapper' last week. Just got back from vacation, jumped on the 6100 and took off for an errand. I took a right turn at an intersection fairly fast and had the bike leaned over well when the front tire seemed to slip then grab traction again. This sent the handlebars violently jerking back and forth maybe seven times before it all smoothed out again. Then for the rest of the ride everything was silky-smooth again. But the event did starttle me as it seemed I was very close to going down. But those stock tires did a great job keeping me upright. I mentioned the event to Zehrbach and he said that I might also want to tighten the head bearing ring as I have enough miles on the bike. But I'm not sure that is necessary as there doesn't seem to be any movement in the bearing so far. Problem is anything that will provide 30A charging current is too heavy, bulky, or too expensive. Currently looking at using the proximity signal on the J1772 standard to limit the AC current source to 32A. Then rectifing the signal and then routing through the battery at less than 30A. The J1772 compliant charge stations don't limit the current at all, all they do is tell the charger what the maximum amount that can be drawn is. If the charger goes above this, the charge station disconnects you.